The granting program of the Thomas Sill Foundation was somewhat subdued by the delayed effects of the “Great Recession” of 2008. 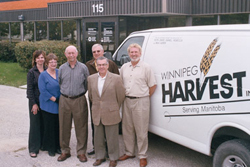 Despite less money available, the Foundation was thrilled to work with so many fine organizations in Winnipeg and throughout Manitoba. 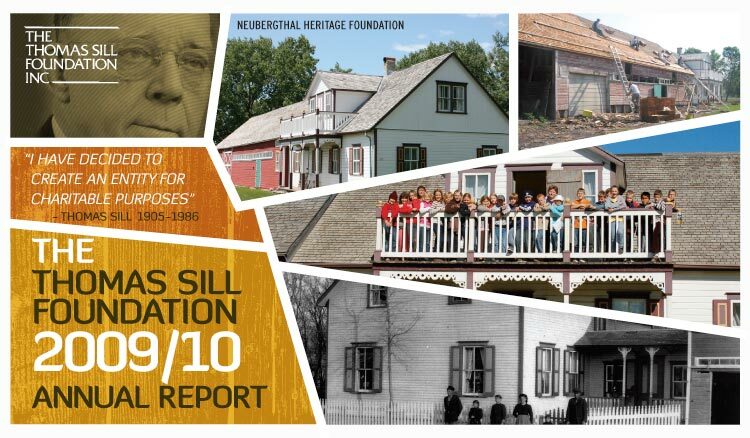 Our theme photos for this year depict the Neubergthal Heritage Foundation. This small group of people is successfully preserving and interpreting the Village of Neubergthal, a national historic site. Their compassion and determination is remarkable, and all of us should be grateful. We should also visit this wonderful village. By clicking “Enter Annual Report” below, you will be able to view 75 grants made to charities in 26 communities around the province. The total of grants awarded was $797,528 of which 56% found its way to rural and northern Manitoba. The remaining 44% was disbursed in Winnipeg. The average, annualized grant was $10,200. Only two comparatively small grants were amortized into future years, another indication of the effect of the 2008 recession. These special projects can be viewed by clicking on “Programs/Projects” above. Perhaps the most significant action of the Foundation in the past year has been to set a new course for the future. In response to growing and unmanageable demands, the Foundation has embraced a modified focus for its grantmaking. This focus can be reviewed by clicking on “Guidelines” above.